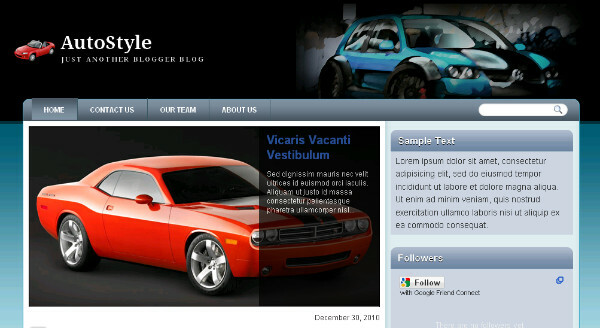 Best Blogger Templates Style - Auto Style is a two column Blogger template with a right sidebar.The template has a Car theme with special images making it perfect for your motoring blog.You can download The Auto Style Blogger Template for Free from BestBloggerTemplates.Net. Comments Encouraged - Drop Your Comments, Views And Questions Below. Good looking template. I might get it for on of my new blogs.